John Lewis has unveiled its £7m integrated Christmas campaign which centres on the story of a child and his penguin friend and features underlying themes of conservation. The centrepiece of the campaign is a two-minute £1m film about a boy and his penguin friend called Monty, brought to life by CGI and set to the soundtrack of the John Lennon song 'Real Love', sung by Tom Odell. John Lewis has used social media channels, including Twitter and Facebook, as well as traditional PR techniques to create the overall effect of the campaign and create a buzz of anticipation among the public ahead of its release. The story of the boy, his friend Monty and the penguin's would-be companion Mabel, will be echoed in a variety of other elements of the campaign in order to make sure it resonates with popular culture. The integrated campaign will use owned media - including in-store displays and the store's YouTube channel - to disseminate its message. 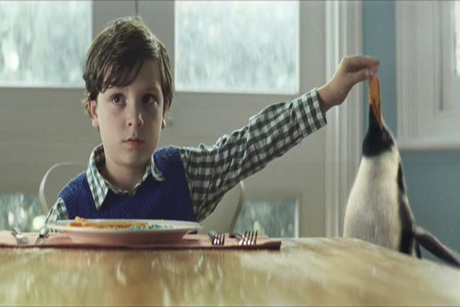 Using earned media, the advert has already garnered huge coverage in national newspapers following its release via social media last night and has used social media channels, with the Twitter hashtag #MontyThePenguin, to continue the conversation with the public and amplify the reach of the campaign into the public’s consciousness. The film will be officially launched tomorrow on Channel Four. The retailer said it would evaluate the overall impact and value of its earned media exposure at the end of the campaign. In contrast to last year’s launch, when John Lewis hired a cinema to premier the opening salvo of its Christmas campaign, the approach this year has been to whisper rather than shout. The retailer sent out press releases to journalists in the weeks leading up to last night’s launch and allowed them see the film on a tablet at its offices, on request. It then relied on the likelihood of strong media and consumer interest to allow the campaign to achieve its own organic momentum. It was not keen to say how much of the remaining £6m was spent on media buying, emphasising instead how the money was spent on the overall package of measures which went into the campaign. Using data it gleaned on its customer’s shopping habits, John Lewis decided to focus on its in-store assets to take advantage of the social aspect of the Christmas shopping experience. To that end, it has echoed the themes of the film and brought them to life in-store in several ways. More than 40 stores will feature a Monty’s Den, an Antarctic-themed space featuring cutting-edge technology and educational content about the plight of the endangered Adélie Penguin. There will also be chance to find out about wildlife charity WWF’s "Adopt a Penguin" programme, which is supported by John Lewis as a CSR component to the campaign. The roof of its flagship Oxford Street store will also be home a ‘Monty’s Winter Garden’ for the duration of the campaign. Inside the flagship store is a collaboration between John Lewis and Microsoft called ‘Monty’s Magical Toy Machine’. Echoing the idea of the CGI-effects penguin in the film, children, and adults, will be able to bring in their favourite toys where they will be scanned using cutting-edge imaging technology and then brought to life as a 3D interactive digital replica. All John Lewis stores will have window displays featuring the signature penguins, installed by the creative consultancy, Chameleon Visual. There is also a range of Monty-related merchandising around the campaign, including cuddly toys, pyjamas and a Christmas book aimed at children. Peter Cross, communications director for John Lewis, said: "Less is more - that is what we have tried to do. The most important thing is the brand and people’s expectations of how the brand behaves. People don’t want it to be arrogant or overly-confident because that is not the personality of the brand. The strategy here is to let people make up their own minds."